Essex: Tours at ERBA (Essex River Basin Adventures) start at their Main Street office. 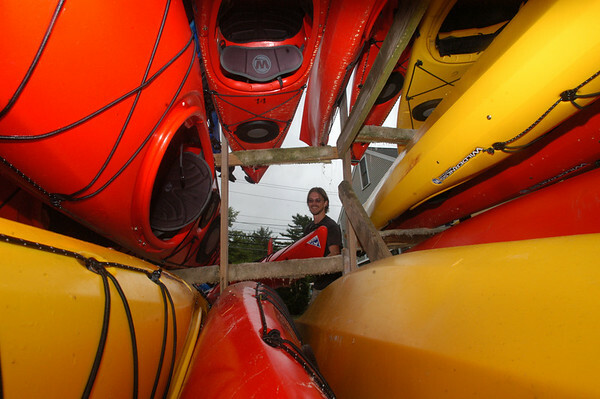 Christ Osburn, former manager, loads the kayaks on a trailer. Everyone is fitted for a kayak and life jacket before heading to the water. Staff photo/Mike Dean.